In 1944, an unusual meeting took place between the pre-eminent leader of the non-Brahmin movement, Periyar E.V. Ramasamy, and a major leader of the Hindu Mahasabha, Balkrishna Shivram Moonje. On September 19 that year, Periyar received a letter from an old friend, P. Varadarajulu Naidu, saying he wanted to arrange a meeting between Periyar and Hindu Mahasabha leaders Moonje and Syama Prasad Mookerjee. Periyar’s friendship with Naidu went back to the late 1910s when both of them were active in the Congress. With the rise of the Justice Party and its challenge to the Brahmin-dominated Congress, the two had played a stellar role in articulating non-Brahmin interests within the nationalist movement. The campaign against separate dining arrangements for Brahmin and non-Brahmin pupils in the nationalist gurukulam at Cheranmadevi, run by V.V.S. Aiyar, in 1924-25 had further brought them together. After Periyar launched the Self-Respect Movement with its radical criticism of the Hindu caste system and religion, the two drifted apart. Like Periyar, Naidu too had distanced himself from the Congress from 1930. During World War II, he joined the Hindu Mahasabha and presided over its Tamil Nadu unit for five years. At the time of the meeting between Periyar and Moonje, he was all-India vice president of the Hindu Mahasabha. That Naidu’s brief dalliance with Hindu communalism — notwithstanding his principled resignation from the Sabha in 1945 — destroyed his political career and deprived Tamil Nadu of a resourceful leader is another story. In 1944, independence was imminent. The Pakistan question loomed large, and Periyar was in close touch with Muhammad Ali Jinnah and B.R. Ambedkar. It is not surprising that Naidu tried at this juncture to weaken the Muslim League by accommodating Periyar. He also wanted the Hindu Mahasabha to address the non-Brahmin question. In any case, the two organisations were united by an anti-Congress predisposition. As an early associate of Bal Gangadhar Tilak, Moonje was not an unknown figure in Tamil Nadu — in fact, the celebrated nationalist, V.O. Chidambaram Pillai, counted him among his friends despite his own critical distance from Hindu communalism. Moonje, who was a doctor, was a key figure in the revival of the Hindu Mahasabha in the wake of the Khilafat movement, and had represented Hindu interests in the Round Table Conference in London in 1930. He also met the fascist leader Benito Mussolini to draw lessons on how to organise Hindus. Though he had given way, in 1938, to V.D. Savarkar as president of the Hindi Mahasabha, he was still active in the organisation. 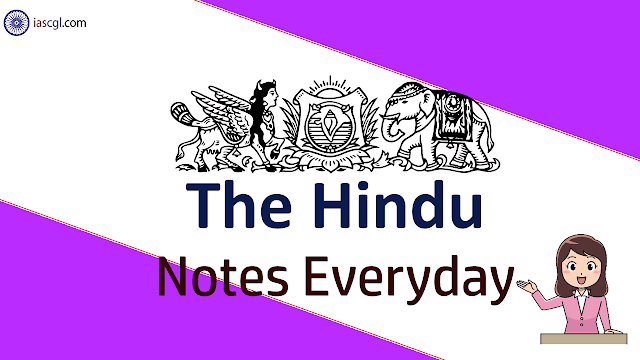 Never one to shy away from engaging with ideological foes, Periyar agreed to Naidu’s invitation, and indicated that he was happy to meet the Hindu Mahasabha leaders on September 29, either in Erode or in Trichy. The meeting took place in Trichy at the home of T.P. Vedachalam, a well-known advocate and a close friend of Periyar. Only Moonje, who was then touring the south, came to meet Periyar, not Mookerjee. The meeting lasted for about two hours. Apart from Naidu, C.N. Annadurai, Periyar’s star lieutenant who would later become Chief Minister of Tamil Nadu, and C.D. Nayagam were present. The preliminary report in Kudi Arasu, Periyar’s weekly, indicated that the two discussed matters in a “friendly manner” and that they “agreed to cooperate without compromising on their fundamental convictions”. It further said that Moonje was personally convinced by Periyar’s Self-Respect ideals, and promised “to endeavour to propagate Self-Respect ideals in north India in his individual capacity”. The apparent success of the meeting was too unrealistic to be true, as was soon borne out by a subsequent report in Kudi Arasu. After exchanging pleasantries, the two discussed the south Indian political situation. Periyar detailed the setbacks to non-Brahmin interests with the rise of the Congress, and how only a Dravidastan could provide true freedom. According to the Kudi Arasu report, Moonje saw Periyar’s point but strongly emphasised that he could never countenance the conversion of Hindus to Islam or Christianity. However, he reiterated his commitment to propagate Self-Respect ideals in his individual capacity in north India. The following consensus was thrashed out after the discussions: Hindu identity should not give primacy to religion; the Hindu community should be taken to mean all Indians and not be defined by religion, and therefore efforts should be made to weld all the people of India into a single non-religious community, while religious conversion should be prohibited; Brahminism should be rooted out; all prevalent Hindu religious rites and customs should be forsaken by the people; the government should be controlled neither by Aryans nor by the Congress; strict proportionate communal reservation was to be observed for all communities (with Brahmins too having proportionate reservation without votes in the general constituencies); there would be no representation for Brahmins in the Madras Cabinet; the Dravidian movement and the Hindu Mahasabha would strive for freedom from British rule. This was the Kudi Arasu version of the meeting. We do not know the Hindu Mahasabha’s side of the story. The relevant entries in Moonje’s diary could not be traced. Two weeks after the meeting, Moonje and Naidu met Ambedkar in Bombay. Moonje’s diary entry suggests that he was to be disappointed again. To come back to Periyar, the agreement between the two did not take concrete shape. The meeting and its resolutions were quickly killed, as evidenced by the media reports of this meeting. A press release was drafted by Anna. The Madras Mail, The Hindu, Swadesamitran, Dinamani and Dinasari “distorted the report of the proceedings”; this, as the Kudi Arasu reported, was “an example of how the Brahmin mind worked”. The consensus of the meeting was consequently given a quick and quiet burial. Evidently the differences between the two were irreconcilable. With the BJP today looking for allies to gain a foothold in Tamil Nadu, notwithstanding M.K. Stalin’s strident speech on the occasion of his election as president of the DMK, speculation of an alliance between the DMK and the BJP, legatees of Periyar and Moonje, respectively, has not been put to rest. The questions discussed nearly 75 years ago in Trichy still animate contemporary politics. One can only hope that the ideological firmness of Periyar and Anna will prevail over transient considerations.